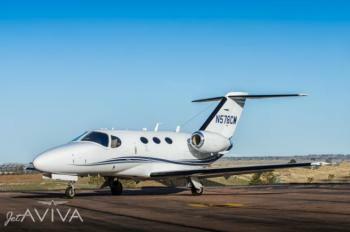 jetAVIVA is excited to bring to market this 2012 Citation Mustang, SN 510-0395. Enrolled in Cessna's PowerAdvantage+ Engine Program as well as ProParts AND ProTech, N789TS has had the same owner since new! With 1600 hours, this beautiful High Sierra Mustang is one of the first pre-owned Mustangs to hit the market with the Garmin NXi upgrade installed. 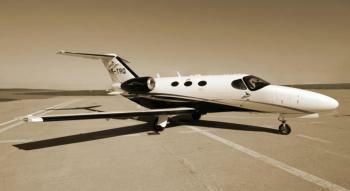 Airframe: 1,619 Hours TTAF Enrolled on CESC......more. 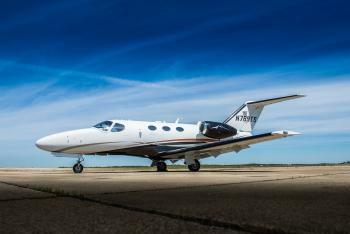 Don’t miss this exceptional 2011 Citation Mustang, serial number 510-0337. The aircraft is enrolled in PowerAdvantage Plus and ProParts – giving you complete piece-of-mind and predictable maintenance cost. Airframe: Total Hours: 1205 Hours Fully enrolled on ProParts Engines: Pratt & Whitney PW615F-A Total Hours: 1205/1205 Total Cycles: 950/950 Fully enrolled on PowerAdvantage Plus......more. Airframe: 2010 Airframe 1,015 Hours TTAF Enrolled on ProParts Engines: Pratt & Whitney Canada PW615F (2) rated at 1,460 lbs of thrust each Dual-Channel FADEC TBO: 3,500 hours Enrolled in PowerAdvantage+ LH Engine: 1,015 Total Time RH Engine: 1,015 Total Time......more. 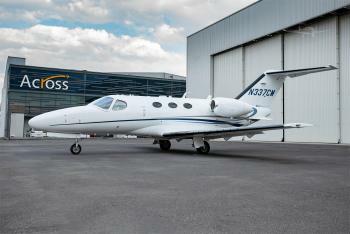 SOLJETS proudly presents this exceptional 2008 Citation Mustang, serial number 510-0097. The aircraft is ADS-B compliant and fully enrolled in PowerAdvantage Plus – giving you complete piece-of-mind and predictable maintenance cost. Airframe: Total Time:1940 Total Landings:1702 Engines: Pratt & Whitney PW615F-A Total Hours: 1940/1940 Total Cycles: 1702/1702 Fully enrolled on PowerAdvanta......more.